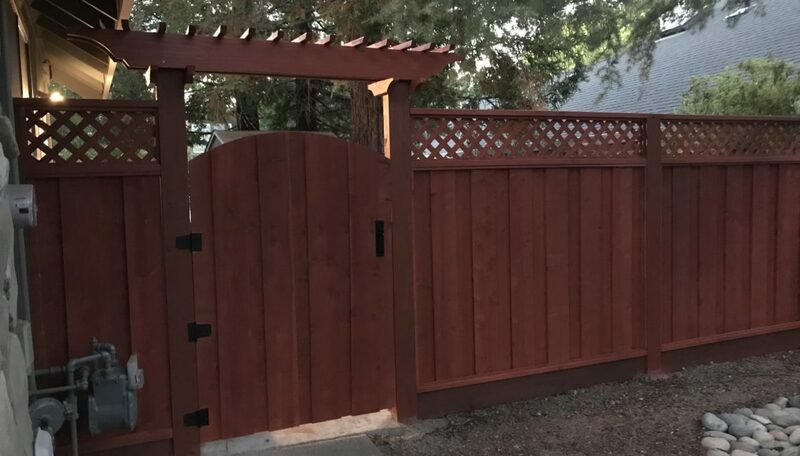 We built two short fences with gates on either side of the house for this client. 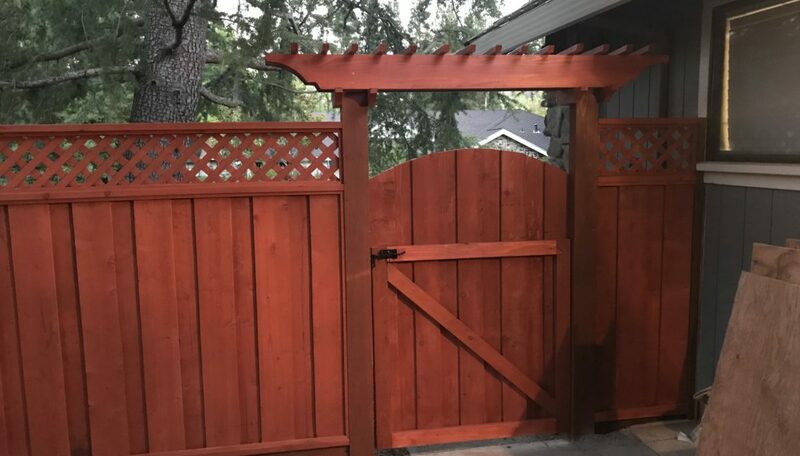 We built a 6.5' redwood con heart picture frame privacy fence with lattice on the top. 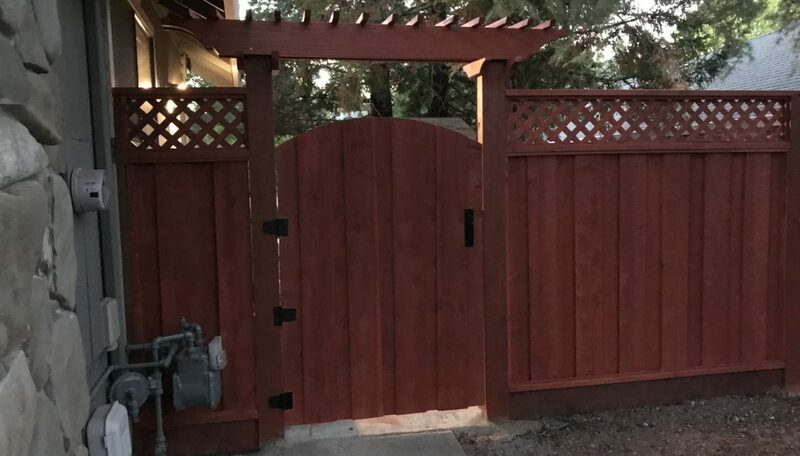 Also a beautiful pergola was built above the right hand side fence gate entrance. On this job we built two short picture frame board on board privacy fences, both with gates. 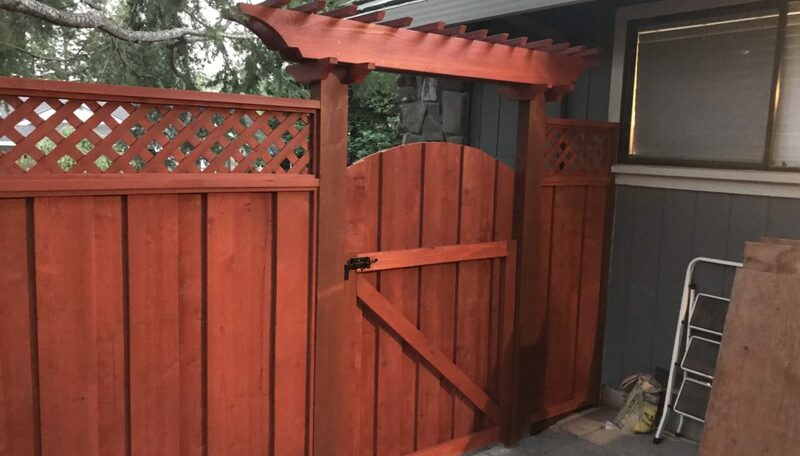 The left side fence also has a pergola over the gated entrance. 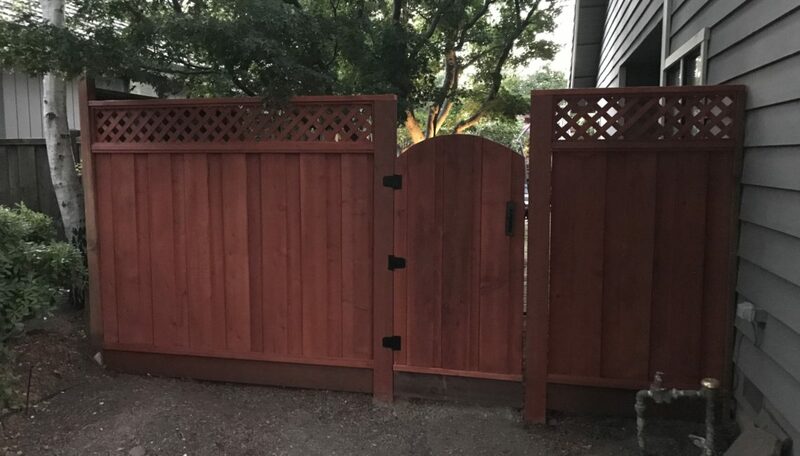 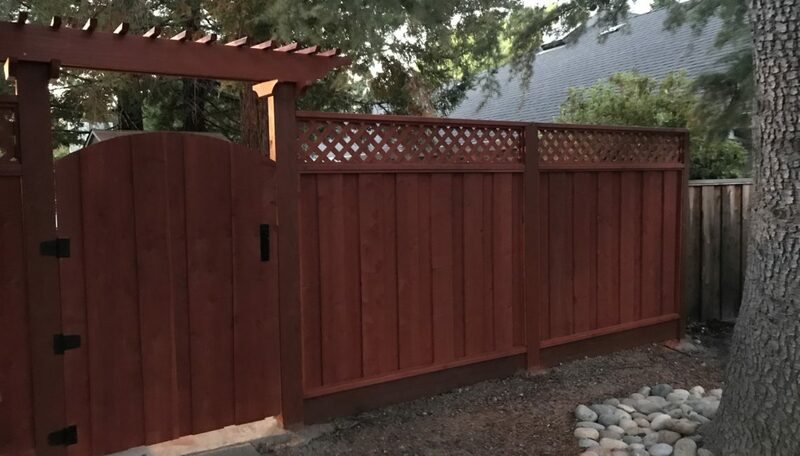 Both fences were then stained with two coats of semi-transparent redwood stain.